Anois teacht an Earraigh…Sixth Clas pupils,Holy Family BNS, Primary School Carlow, have been very busy this past week making St. Brigid’s crosses. 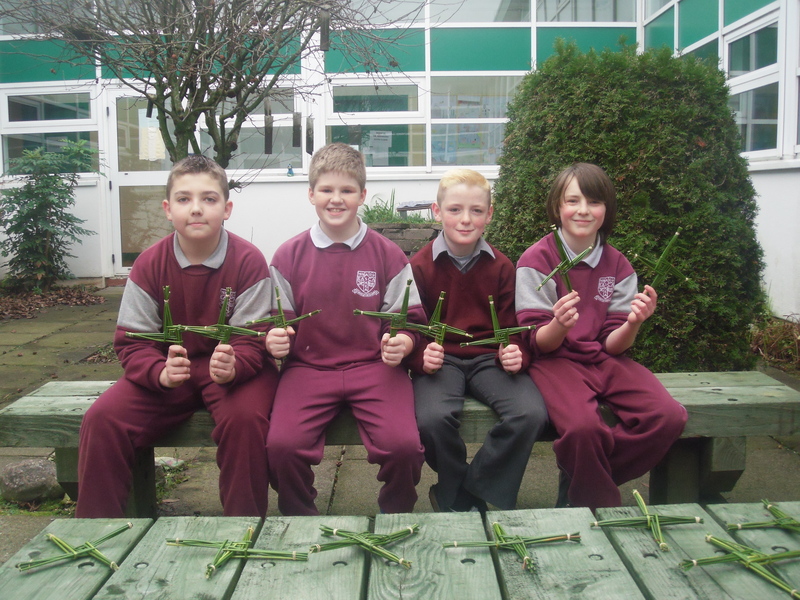 Students in Askea GNS were also busy making St. Brigid’s Crosses assisted by the Go Leir Group. These St.Brigid crosses are made available after all masses this week.